Are the Gauteng blues getting you down? If yes, don’t worry! 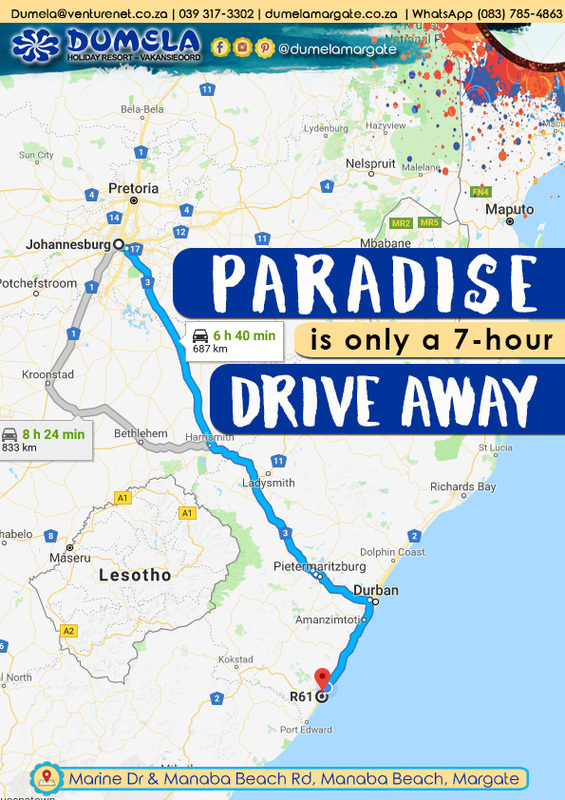 Paradise is only a drive away! With Spring a few days away why not spoil yourself to a revitalizing break on the always sunny KZN South Coast? Our pristine beaches and warm waters are waiting for you. The best part is, we are only a short 7-hour drive from Johannesburg.